Located on the southwest corner of the Quad, Lincoln Hall is the second-most used building on campus by students and faculty. Inside lies the Lincoln Hall Theater. 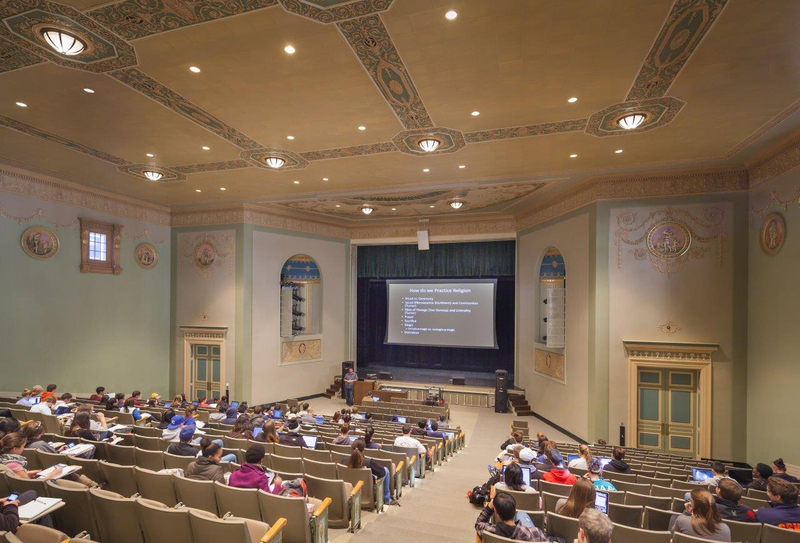 This historic lecture hall, which opened in 1930, is used for everything from student productions to final exams. It’s equipped with Integrated Teaching System (ITS) technology, enabling audio and visual presentations to a large audience. See what’s happening at Lincoln Hall Theater this month, learn more about the venue or its history.